Today is picture day at school for Sarah, Seth, and Caleb and boy do they look extra cute this morning. Jacob is still asleep, and so is Mike who is not related by blood but has become a part of the family and spends almost every Sunday to Wednesday with us…. I’m still in my pajamas and just finished eating a lovely omelet made with 2 of our own chicken eggs, filled with mushrooms, onions, peppers, cheese, and spinach. I can’t start the day without a good breakfast, thanks to my mom and her good care of me growing up. The temperature is up 15 degrees from the other day because it’s cloudy and going to rain. The colors are coming out in the leaves beautifully and I’m a touch sad because I love fall and know it will pass quickly. My favorite thing to drink these days is hot apple cider. Gentleman Gray adds such joy to our family with his little kitten ways. He has such a loud and ready purr. He’s actually on my shoulder purring and falling asleep as I type, and Parker the dog is on the floor by my bed sleeping (I’m in bed). I like to go down to the chicken coop and watch the hens. Even if I’m in a hurry I find myself slowing down to enjoy them. Yesterday I sat cross legged in the grass and they all (23 of them) gathered around. Several tried to bite my toenails off, several used my corduroy pants to wipe their beaks, and several kept snooping in my lap at the three eggs I was trying hide from them. I held one my lap for a while and admired it’s feather-dress. Would anyone be interested in an entire blog post about the chickens? 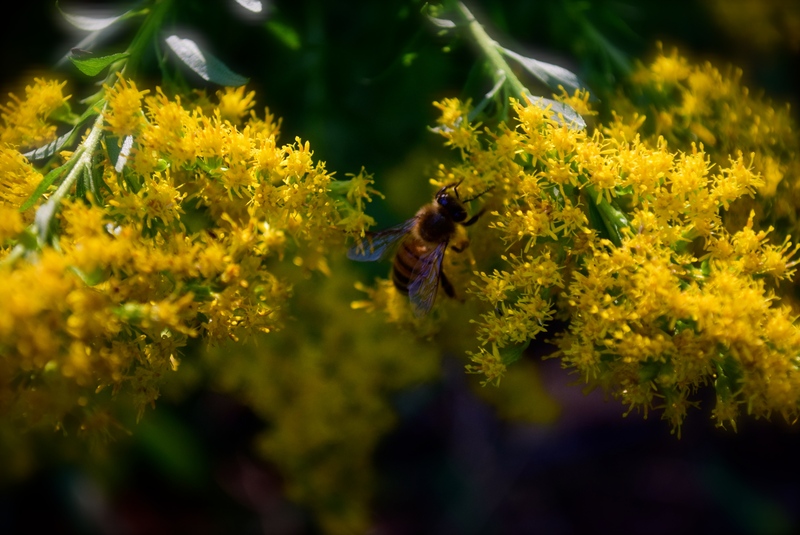 honeybee on goldenrod (my favorite color yellow) I took some other fun close ups a few weeks ago that I have to post soon. As you can see, we have a row of black bookcases behind the couch. This is so convenient because 1. we always need more room for books 2. we can reach back and put things on the top of it while we are sitting. 3. I fold the laundry and make my row of piles on it while watching TV. and 4. during parties it becomes another table, the kids sit on stools behind it. Rich was sold by the fact that the back cushions do not come off. Only the seat cushions can be removed. I don’t mind the children making forts with the couch cushions but it is a pet-peeve of his (and wisely, too, because that’s probably part of the reason our other one got old so quickly). The last thing I want to show you today is my kindle has returned!!!!!!!!!!!!!!!!!!!!!!!!!!!!!!!!!!!!!!!!!!!!!!! Remember I had lost it on vacation last month? Well, Rich made some phone calls and located it in one of the hotels and had them mail it back. 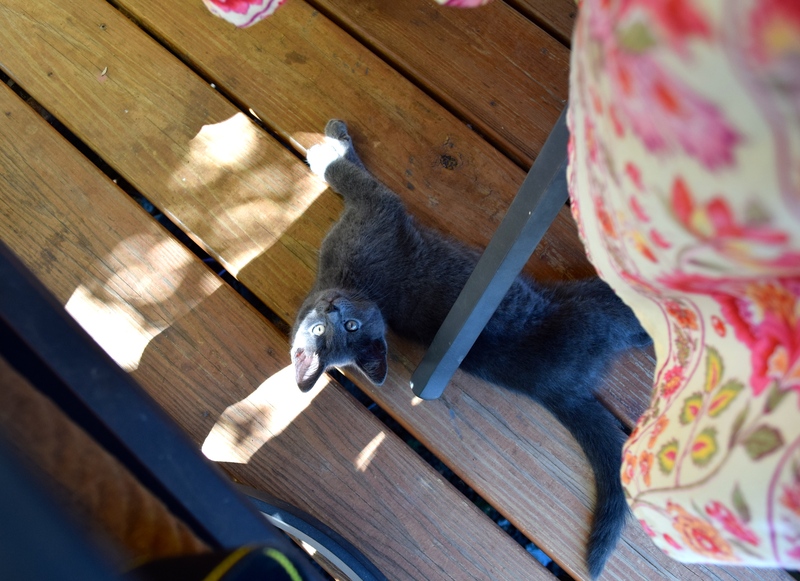 This entry was posted in a simply lovely life, it's the little things and tagged cats, chickens, couch, large family by Shanda. Bookmark the permalink. Very nice Shanda! We love our leather couches. 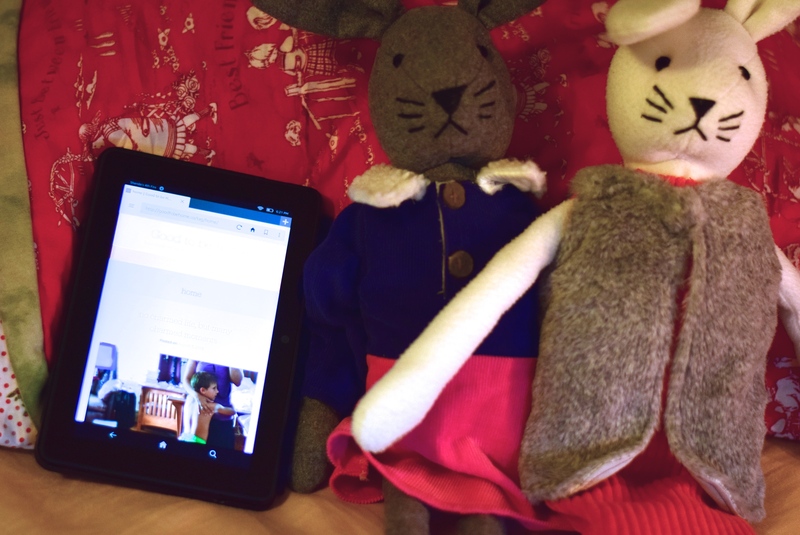 Glad you found your kindle! That is great. Look fwd to seeing Fall pix from you, that is one thing we miss there. Yay! Your Kindle has returned!!!! 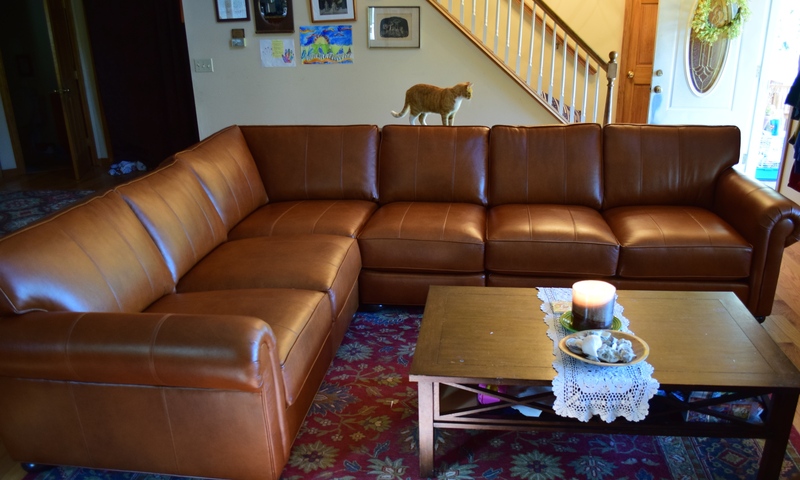 I am SO wishing we had purchased a leather couch rather than the microfiber one we have. I constantly have to cover it when my littles come. I do not want to keep after them. I want them to be relaxed. So…for the most part, the couch is always with a cover. The littles are on an extended vacay, so we have had it uncovered while they are away. Was just thinking about leather the other day..and now you show us your new one. Good choice for your family! Rainy day this morning. My oldest and her family are in town and are due here later. They are staying at the other grandparents’ in the area this time. Looking forward to spending a cozy day with them. The couch is very nice! Ours are leather too and I like them a lot . Yes to the post all about your feathered friends!! Beautiful chicken! I always like to hear about them. We hope to live somewhere we can have chickens, maybe retirement years. The new couch is beautiful. I like that color. 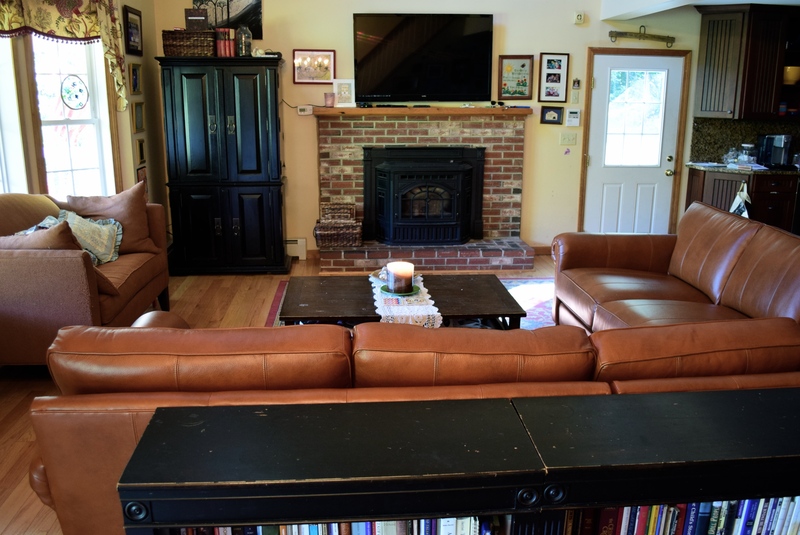 I have liked having leather couches, they clean up! So we have to wait for the school pics 😉 I thought I would see cuties on the way to school. I caught up on your posts this morning and they were just what this tired mama needed. I love your beautiful pictures and the beauty you see in the everyday things of life. Your new couch is lovely. I would love a post on your chickens. My sweet husband of 26 years just bought me 4 hens and a couple roosters. I’m so excited to have our own eggs again. Happy Fall from south Ga.
Hi Marlene! So good to hear from you!!! I’m so glad you enjoyed the blog and congratulations on the hens and roosters. 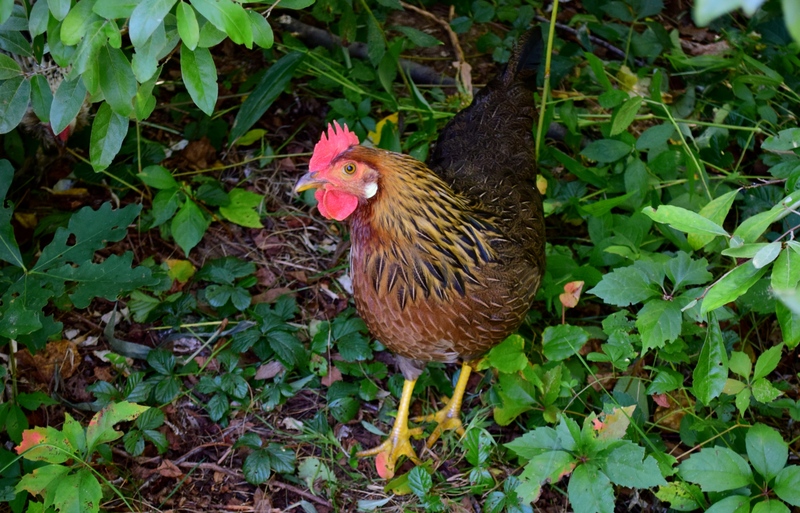 I will do a post soon about my hens and maybe you can comment on it and tell us all about yours, too! Praying that you will get the rest you need and that you have a great day!